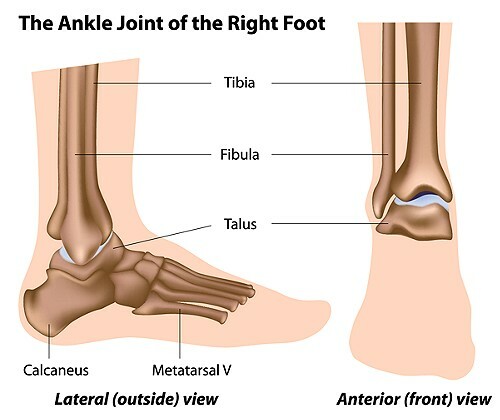 2.Tibia, Fibula, and Talus bones all form the ankle joint. 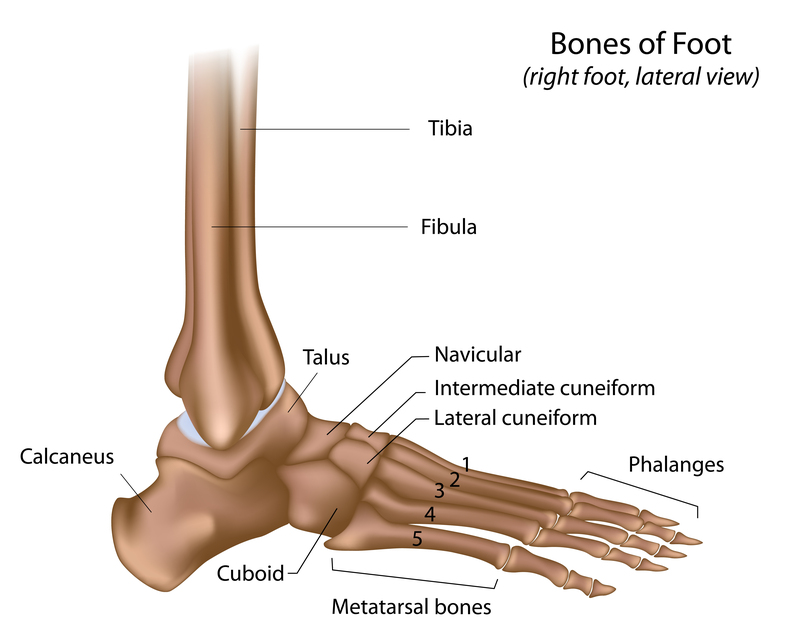 3.The heal bone is called the Calcaneus. This illustration shows the Tibia, Fibula connection to the Talus Bone forming the ankle joint. 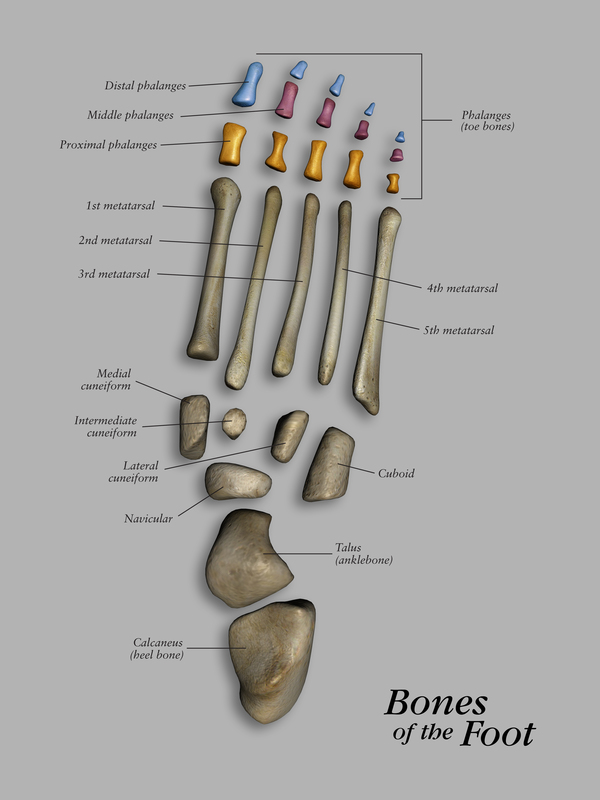 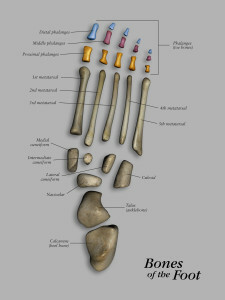 Foot bone from side view-Try to label them without looking at the other illustrations.